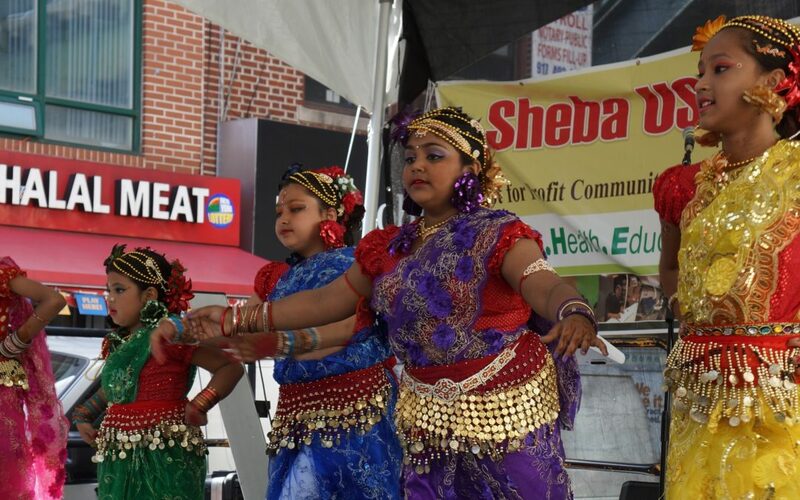 ShebaUSA hosted a cultural program and street fair on Sunday, June 23 at the heart of Jackson Heights. The program was held on 73 street between Roosevelt avenue and 41st avenue from 11 am to 8pm. Congressmember honorable Joseph Crowley attended the program as the chief guest. The program was attended by hundreds of people. Many attended with their family, friends and children. There were information booth, food stalls, cloth stalls, toy stalls, health information booth, face painting stand etc. Cultural program was immensely enjoyed by the attendees. Singers like Farzana Popy, Kazi Jewel, Madhab, Russel Thakur, Lemon, Shanaz Alam, Sumaia Islam Auntu, Nayema Laboni, Ashraf Rana, Kawsar Alamgir and Madhab sang popular songs at the event. A very attractive dance program was organized by Priya Dance Academy. The child dancers were applauded for their wonderful dance. On the eve of the program, ShebaUSA published a 28-page colorful booklet and distributed among the attendees.